Hilltop Gallery & Arts Education Center – Celebrating 50 years in 2018! 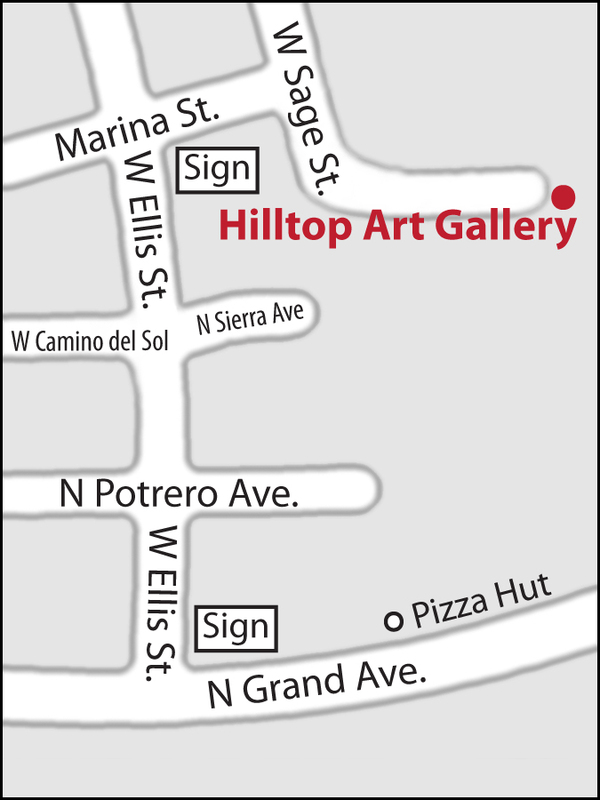 Founded in 1968 , the Hilltop Gallery (DBA: Patrons of the Arts, Inc.) in Nogales, AZ is the only permanent art collection in the region with both exhibit and education activities that join two cultures: U.S. and Mexico. In cooperation with the Consulates, Chambers of Commerce, and the Piméria Alta Historical Society, our mission as a non-profit group is to bring arts and culture to an underserved community. We continuously curate works from the best artists throughout Mexico to hang alongside U.S. artists, delivering a “one-stop” access to the vibrant international arts scene. Our dedicated staff and volunteer Board, Patrons of the Arts, Inc., works with both artists and businesses to bring to our communities the best and brightest under one roof. Our motto is: CREATIVITY…CULTURE…COMMUNITY. World-renowned Hugh Cabot, along with Luis Preciado, and Virginia Dickison are just a few of the American artists who have exhibited here. Up-&-comers such as Celine Castro, Abel (“Pato”) Aguilar, Mike and Art Garino, and Alex Jones are just a few of the artists often featured at our shows and events. We are also proud to collaborate on specific events with other local institutions and centers such as the Consulate of Mexico, with whom we share special visiting exhibits by Mexican artists. Uniquely situated and offering panoramic views that rival the art inside, special opening receptions and other art-lovers events also help make the Hilltop a favorite community gathering place. Other local non-profit groups are also welcome to use our facilities for free for their meetings. Less than 40% of our county’s schools offer arts education today. To help fill this gap, we hold year-round art classes for adults and children, including our unique Walk-In Studio, where artists can just drop by and work on any medium. Our extensive art library is also free for use by artists and community member for inspiration or study. Our summer arts sessions have received wide praise. We even take our art “outside the walls” with to local schools and art-lending programs for businesses. As an Arizona 501(c)3 Corporation, we depend on member and community support as well as grants and donations from foundations and corporations. Our Corporate Sponsorship programs help our donors communicate their social responsibility. Catch up on our news, courtesy of the The Nogales International, by clicking here. Check out some of our local TV coverage here. This is the official website of Hilltop Gallery & Arts Education Center, Nogales, AZ, a 501(c)3 Corporation since 1968. All rights reserved.